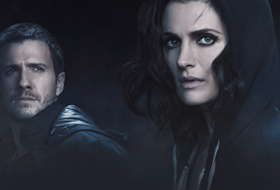 On ABC’s Castle, actress Stana Katic plays Det. 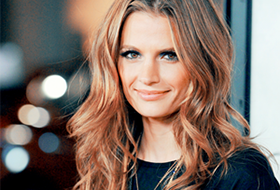 Kate Beckett, who investigates crimes inNew York City with novelist Richard Castle. Off-camera, Katic is the co-founder of the Alternative Travel Project website, aimed at encouraging folks to give up their cars for at least one day a week. We met Katic at Det. Beckett’s loft on the Castle set, where we talked ATP, the music playlists she creates to listen to while walking to work, and the app she uses to help memorize her lines for the show. Founded with fellow Castle actor Seamus Dever, ATP encourages people to choose alternatives to driving, such as buses, subways or their own two feet. It’s an effort to better the planet, people’s health and communities. Three of Katic’s playlists have been published on Twitter.